There is continuing speculation that fluoride in public water is linked to cancer, osteoporosis and genetic damage – however scientists disagree on this argument. Last week at Council I was delighted to receive unanimous support for asking the Minister to clarify matters. Here is the Notice of Motion adopted at my proposal. The stated reason for adding fluoride is that it improves our dental health, however: since started in 1964, it has been abandoned everywhere in the EU, except by us. 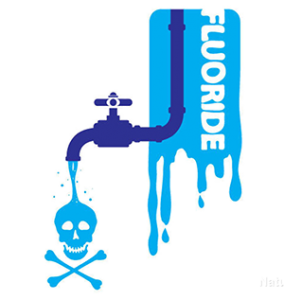 Across Europe, government after government have condemned the practice of adding fluoride to drinking water as dangerous and unethical. Later, the Dutch rewrote their constitution to ensure that the practice would never be allowed in that country again. In 1980, the Chief of Public Health in France declared fluoridation of drinking water to be “too dangerous”. Councils throughout Ireland, north and south, have voted against doing it; in the UK less than 10% of drinking water is fluoridated. Today, just one state in the EU endorses what can only be called mandatory medication of the people – that is what with fluoridation is. There are many of expert reports that tell us fluoride is safe within the limits allowed, and that it is good practice from a dental health point of view, but as many more experts disagree. 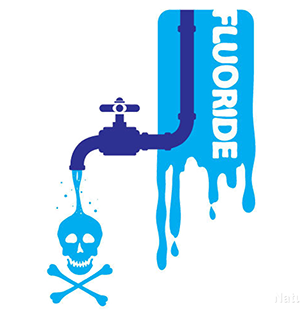 Fluoride may or may not have a beneficial use in dental health, however, that doesn’t mean we should drink it and absorb it in our bodies. Throughout Europe, fluoride is added to salt and other dental care products so that people do not need to ingest it, and they have healthy teeth. Even commonly used toothpastes warn against a child swallowing because there is a danger in the fluoride content – we need to look at this. 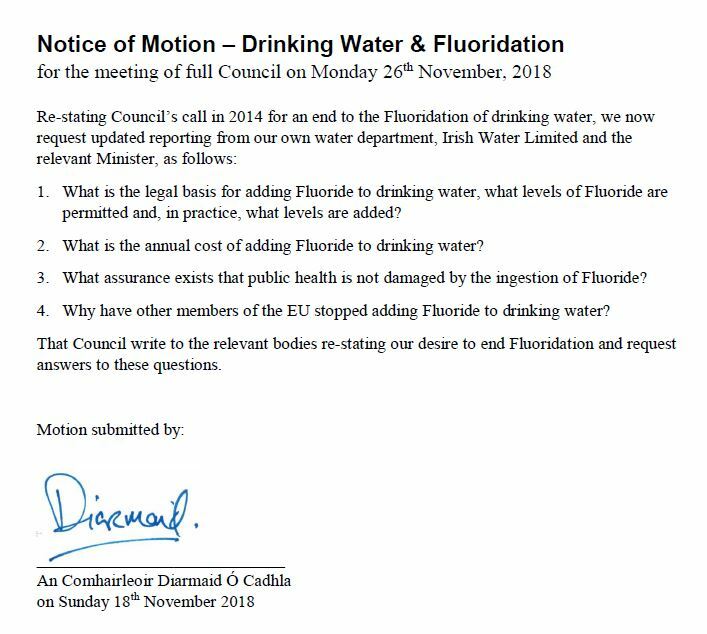 My question, adopted by Council, asks to the Minister to explain why every country in the EU has stopped putting fluoride into their public water, except us?